For most people, Bitcoin burst onto the scene between 2013 and 2014. The truth is, however, that this cryptocurrency dates back to as early as 2008. At that time, cryptocurrencies were nothing more than an idea based on theory, but Bitcoin would go on to serve as a pioneer to the industry. It all began with the publication of the original Bitcoin whitepaper by a person named Satoshi Nakamoto. As the first – and most popular – decentralized cryptocurrency, Bitcoin enjoys the highest market capitalization. Ever since Bitcoin began to gain mainstream acceptance, it has maintained a market cap in the billions of dollars. As of November 24th 2017, the market cap of Bitcoin was over $137,000,000,000 with 16,699,125 BTC coins in circulation. In any given 24 hour period, between $200,000,000 and $10,000,000,000 of value can be exchanged in Bitcoin. One of the most mysterious elements of Bitcoin is found in its creation. No one knows the true identity of the person or persons who actually created Bitcoin. It has been attributed, however, to a (presumed) fictitious character named Satoshi Nakamoto. The stereotypical image used to portray Nakamoto is that of a middle to older aged Japanese man, but there is no definitive proof that the person who created Bitcoin was ever Japanese. In the most theoretical sense, Bitcoin could have been created by a young woman in the United States, the total opposite of the commonly portrayed creator. While the actual name of the person who created Bitcoin is unknown, there are a number of facts that are undoubtedly true. It is here that we are able to grasp a level of understanding as to who created Bitcoin. We may not know their name, but we are able to identify when they started developing Bitcoin, and what marks they have left on the currency. It was in late 2008 that any instance of Bitcoin as we know it today was made available to the public. The launch of Bitcoin was accomplished in the form of a written paper called Bitcoin: A Peer-to-Peer Electronic Cash System. It was just a few months later, on January 9th, 2009, that the very first iteration of Bitcoin was released. It is confirmed that the person who wrote this paper and the person who first released Bitcoin are the same individual. The creator was unlikely to have ever been able to predict just how expansive the currency would become. What was once a unique, abstract project has now turned into the most well-known cryptocurrency in the world. There has been virtually limitless rumors and speculation regarding the true identity of the creator of Bitcoin. Many different approaches have been used in attempts to figure out who Nakamoto really is. The writer of the paper has been definitively linked to a handful of email and website forum accounts, making their activity somewhat traceable. This user has never disclosed anything beyond an age of late thirties with a location of Japan. With that said, most believe that these details are either largely, or entirely, fictitious. Since Bitcoin is a largely anonymous network, it makes perfect sense that its creator, too, would remain as anonymous as popular, even in light of Bitcoin’s exceedingly large reach. Surprisingly, there has been a relatively small number of people who have attempted to claim that they were in fact the real Satoshi Nakamoto. Craig Steven Wright is one of the only people who have made repeated attempts to convince the media and the public that they are the true creator of Bitcoin. In-depth research by varied sources, at different points in time, both seemed to validate and invalidate Craig Steven Wright’s claim. Ultimately, however, Wright backed down and discontinued his claims of creating Bitcoin. Many of the proposed creators of Bitcoin have coding and/or other crypto related backgrounds. This is the only common theme and of course the most obvious one as well. The reality is that, given the nature of Bitcoin, it is unlikely that the true creator(s) ever aimed to be made public. If the founders of Bitcoin wanted exposure, they could realize it quite easily. Anonymity is one of the core elements of Bitcoin, and its creator(s) seem to have abided by this ideology, both in their work and in their private lives. As time goes on, the likelihood of determining who actually created Bitcoin reduces. When Exactly Was Bitcoin Launched? Bitcoin was officially launched on January 9th, 2009. After its inception, the creator of Bitcoin themselves began to mine the first Bitcoins. This first block had a reward of 50 Bitcoins, while today a block instead rewards much less, and it will decrease as time goes on. Many believed that an advanced programmer named Hal Finney may have been behind the creation of Bitcoin itself, since he was the first third party to download and use the Bitcoin software for the purpose of mining Bitcoin. 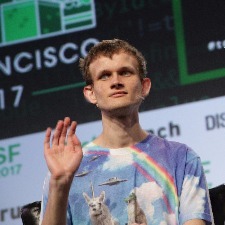 While he did use the software on the day of its launch, he denied being one of the actual creators of Bitcoin. There were only a handful of Bitcoin users and supporters when it was first launched. Since the entire concept was foreign to almost everyone, there was no anticipation or participation surrounding its launch. The first post-launch issue for Bitcoin would not come until August 6th, 2010. It was here that a vulnerability in the Bitcoin blockchain was found. It would only take 9 more days, where on August 15th, this vulnerability allowed for a limitless number of Bitcoins to be created and sent to any wallet on demand. Since there is a finite supply of Bitcoins (21 million) available, this posed a serious threat to all viability of Bitcoin. Bitcoin was able to save itself from this disaster through the very same blockchain that allowed for its exploitation. The open source nature of the Bitcoin network allowed for this erroneous transaction to be erased from the blockchain entirely. This was the first instance of Bitcoin’s blockchain being required to upgrade and adapt in order for it to remain a viable currency. Bitcoin uses what is known as a “blockchain” to conduct its transactions. Just as the blockchain is what enables Bitcoin to be traded, it is also its most susceptible dynamic. The blockchain has grown more secure over time, with innumerable fixes to prevent hacking, but it’s absolute security remains an impossibility, regardless of how much more stable it has grown since inception. Unlike traditional financial transactions, all Bitcoin transactions are documented and available for all to see. This is one of the most apparent facets of transparency that Bitcoin provides (and what other currencies typically can’t). These transactions between buyers/sellers/traders can all be seen on the Bitcoin network, which is open source. Bitcoin uses its own checks and balances system to ensure that transactions are properly vetted. Instead of a computer system measuring the validity of a transaction as you would find with a credit or debit card transaction, the network is able to verify itself using the blockchain. This system of checks and balances serves to protect those who own Bitcoins. As you complete transactions, you will notice that it may take up to an hour for a trade to be totally verified and complete. The blockchain also allows for multiple verifications on the part of the user, especially when they are using a Trezor or wallet that includes additional security. Fees for trading bitcoins are entirely dependent on the medium that you are using to trade. For example, a website like Coinbase would be more apt to charging large fees, whereas the use of your own Trezor device would cut down on processing fees. Generally speaking, the more (apparent) security and assurances that are being provided to you, as in the case of a third party wallet, the more your fees will be. As a whole, the fees for sending and receiving Bitcoin are very minimal, especially when compared to traditional banking. While the fees for sending and receiving Bitcoin are small, the costs associated with buying and selling can be quite high. As the number of exchanges and wallets grow, these fees have reduced, but users may still pay anywhere up to 10% to buy or sell Bitcoin. In most cases, buying Bitcoin will cost less than selling it, though this is not always true. If possible, it is always more cost efficient to acquire Bitcoins without the use of a third party, commercialized exchange. Buying Bitcoin can be an intimidating process, but it is actually very simple and straightforward. Today, Bitcoin can be purchased in the same way as anything else, with a debit/credit card, or even an ACH withdrawal from your bank account. While payment through traditional means is the easiest and can be accomplished quickly, it is also one of the more expensive ways to pay for Bitcoin. There are three primary ways to buy Bitcoin: buy from an exchange, use other cryptocurrency to pay for Bitcoin, or buy from another person. If you are brand new to Bitcoin and would like to make your first purchase, we encourage you to use a safe exchange to help make the process as easy and smooth as possible. Think of a Bitcoin exchange as a stock broker. Instead of going to eTrade or another similar site, you would instead go to a Bitcoin exchange like Coinbase. Coinbase will accept your payment via debit/credit card in exchange for Bitcoins (as well as other cryptocurrencies offered on the site). When buying Bitcoin from an exchange, you will pay the current market rate, just as you would with any other commodity. The fees for buying from a Bitcoin are usually minimal, around 1-3%, depending on your method of payment. There are a few important notes to keep in mind if you are considering buying your Bitcoin from an exchange. First, an exchange may offer lower limits to new buyers. This is to help limit fraudulent transactions and to stop fraudulent accounts before they get out of hand. You can usually bypass these restrictions by following steps to prove your identity, including submitting government issued ID, a copy of your bank cards, utility statements to prove your address and so on. The payment method that you choose to buy your Bitcoins with at an exchange will also play a role in your overall experience. For example, a credit card purchase may take 5-7 business days to officially complete. This is because the exchanges need to ensure that the purchase is both legitimate and that the buyer is not backing out of their purchase. This is akin to a car dealer waiting 3 days for a personal check to clear. Since fraud and theft is so rampant in the cryptocurrency industry, exchanges must take precautions to protect themselves. While it may take several days for you to actually own and be able to trade and use your Bitcoins, the price that you buy at will be the price you are locked in at when buying on an exchange. For example, if you buy 1 Bitcoin today at Coinbase for $2,500, this is the final price that you pay, regardless of whether the price falls to $2,000 or rises to $3,000 by the time the coins are actually placed in your account. Depending on both where you live and where the exchange is located, regulations and requirements will vary. For example, Coinbase is located in the United States and primarily serves US customers. As a result of this, they are required to follow strict rules and regulations due to the money and volume of transactions that take place on the exchange. Generally speaking, the biggest drawback to buying Bitcoin on an exchange is that you may be required to disclose more personal information than you are comfortable with. Unfortunately, this is not the fault of the exchanges themselves, but instead a product of the government rules of which they need to abide by. In terms of overall safety and security, an exchange will be the best way to buy your Bitcoins. You do not have to worry about a credible exchange backing out of a transaction, taking your money and running, or otherwise cheating you out of your money. In the early years of Bitcoin, the options for buying BTC were quite limited. As time has progressed, however, the options have become more expansive than almost anyone could imagine. One of the more recent innovations in Bitcoin is found in the form of Bitcoin ATMs. A Bitcoin ATM is just as it sounds, except it is more like a Bitcoin shop than an ATM. Many of these ATMs will not only allow you to convert your pre-existing Bitcoin into cash as you would with a traditional debit card for paper money, but they will also allow you to acquire Bitcoins using cash. This is why Bitcoin ATMs are just as much of a shop as they are a regular ATM. The drawbacks to buying Bitcoin from an ATM are relatively minimal by volume, but they are significant. The two main downfalls of buying Bitcoin from an ATM are transaction fees and maximum purchase limits. Since ATMs will need to process your purchase of BTC with limited information, they can only afford to take a small amount of risk. As a result, it is common that a first time ATM user will only be allowed to buy a few hundred USD worth of Bitcoin. For many, this will be enough, but if you wish to acquire a larger amount of Bitcoin, you will need to seek alternatives. One way to buy more Bitcoin from an ATM is to verify your identify. Different ATMs have different requirements and approval limits, but most will allow you to buy up to a few thousand dollars worth of Bitcoin with the right amount of identify verification. In most cases, raising your limit will require photo proof of both your own identity (a selfie, for example) and a matching form of government issued identification. Even when these levels of verification are met, however, your max buying limit from a Bitcoin ATM is unlikely exceed a few thousand dollars. The other drawback to Bitcoin ATMs is found in the processing fees. While a traditional Bitcoin exchange may charge 1-3% for a buy transaction, a Bitcoin ATM may instead charge 5%-10%. This is a catch 22 situation. While the fees at Bitcoin ATMs are higher, the convenience may be worth it. In addition, since the buy limits are small, you will not be spending a significant amount of dollars in fees when completing your buy. All in all, Bitcoin ATMs are largely in place to serve two crowds: those looking for quick convenience and those who would otherwise not buy Bitcoin. It is not a bad way to make your first Bitcoin purchase, but if you plan to ultimately own a large amount of Bitcoin, your best plan is to buy as much as you can from an exchange or another source with more reasonable buy maximums and transaction fees. Buying Bitcoins from another person is a great way to bypass fees and regulations while acquiring coins. Initially, Bitcoins could only be bought from other people, as there were not exchanges that would facilitate the sale of BTC for cash. Today, however, peer to peer Bitcoin sales are not as common. Still, though, there are ways to buy Bitcoins from other individuals. The easiest way to buy Bitcoins from another person is if you have a personal friend who you deem trustworthy. As is the case with just about anything, Bitcoin or otherwise, completing a Bitcoin sale in person is your best bet for success. If you have a friend that you can trust, the transaction does not need to be in person. In order to buy Bitcoins from someone else, all that you need to do is tell them what your wallet address is. They will send the agreed upon amount of Bitcoins to the wallet that you provided, and in an hour or less, the Bitcoins will be in your possession. How you pay for these coins is entirely between you and the seller. Again, since a Bitcoin transaction is both permanent and a person to person transaction is effectively unregulated, you should ensure that all proper precautions are taken before you decide to buy Bitcoins from someone else, especially if you do not know them well. Other than a person that you know on a personal level, there are websites that help to facilitate peer to peer Bitcoin transactions. The most popular of these sites is localbitcoins.com. On this site you will be able to find both buy and sell prices from individuals. In order to complete a transaction on Local Bitcoins, you will usually need to make a deposit into the bank account of the person selling. While Local Bitcoins is not as convenient or speedy as other solutions, you will be able to find better prices on coins from time to time. In addition, you may also be able to save on transaction fees. 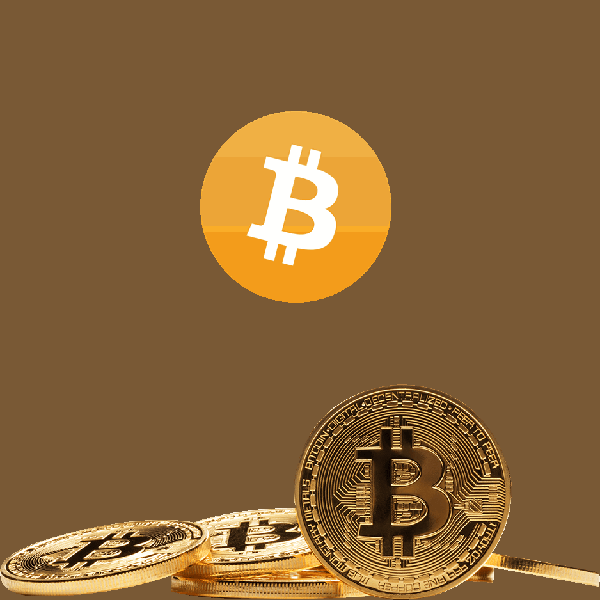 Local Bitcoins is one way to buy Bitcoins that should be considered, but it is worth keeping in mind that it is neither the safest nor the easiest option available. We recommend using a service like Local Bitcoins for buying Bitcoin only after you have achieved a moderate level of experience with Bitcoin transactions. As Bitcoin has matured, the options for selling coins has expanded dramatically. At one point in time, you would need to seek out individual buyers and then complete your sale on a peer to peer basis. For multiple reasons, some more obvious than others, this was not the most ideal way to sell Bitcoin, but it was the only real option available for several years. For most, depending on where you live, Bitcoin will be sold either through an exchange, using a debit card, at a Bitcoin ATM, or through an in person transaction. These are the primary and virtually only ways to currently sell your Bitcoins for cash. Perhaps there will be a bank or other financial institution in the future that will allow Bitcoin to be sold for cash, but this option does not yet exist. Selling Bitcoins through an exchange is arguably the easiest, safest, and most efficient way to sell BTC. A service like Coinbase makes it relatively easy to sell your coins in exchange for cash in your bank account within a matter of a few days. The process itself is very simple, and while there are a few drawbacks, they are very minor. If you would like to sell your Bitcoins at an exchange, you will first determine the price that is being offered. This is known as the “bid” price, which is one half of the bid/ask prices that you would see listed on an open trading platform like Bittrex. If you are willing to sell your Bitcoins at the price being offered, the next step is to lock in the trade. After you agree to sell your coins, the transaction will be finalized. You will have a record of when you sold your Bitcoin, at what price per unit, and the net transaction amount. Also included in this record will be the fees assessed. Yes, unfortunately there are fees charged when selling to an exchange. Though fees are one of the aforementioned drawbacks, they are very minimal, usually in the range of 1-3%. All things considered, the fees are very small for the service that is provided. It will usually take just a few days for the funds to hit your bank account, if that is the option that you chose. You can also usually opt to sell your Bitcoins in exchange for cash that will be kept on your account at the exchange. This cash can be stored for a potential future buy, or it can be withdrawn to your bank account. Whether you sell Bitcoins for cash to your bank account or with plans of rebuying later, an exchange will afford you both opportunities. The only other downside to selling Bitcoins at an exchange is found in limits and identify verification requirements. Since selling BTC is the step in the process where digital currency can be turned into paper cash, government regulations often times come into play. How much information you are required to submit to the exchange during a sale will depend on which exchange you use, where you live, and the amount of the sale. Some sites will also consider how long you have had your account and how much history you have at the exchange when deciding what limits you have on a sale. If you are not comfortable submitting a copy of your photo ID, proof of address, and potentially even bank statements, selling Bitcoin to an exchange may not be for you. Your local jurisdiction and the exchange that you choose to use will play a significant role in what information may be requested from you, so be sure to contact the exchange itself in order to determine what info you may need to provide. When we reference selling Bitcoin with a debit card, we are using the term “selling” relatively loosely. When using a card to sell Bitcoins, what you are really doing is using the card as your intermediary for a withdrawal. A Bitcoin debit card works in much the same way as a bank debit card. The amount that you have on your card’s account is the amount that you will be allowed to withdraw at a traditional ATM. For many, the use of a Bitcoin debit card will be restricted. Unfortunately, US citizens will have a much more difficult time owning and regularly using a Bitcoin debit card than their European counterparts. The landscape of Bitcoin debit cards is ever changing, so you should check your current options before applying for one. It will also take at least a few days before you have your actual card in hand, so a debit card is not the most immediate solution to converting Bitcoins into cash, but it is an option nonetheless. Bitcoin ATMs will allow you to turn BTC into cash within a matter of minutes (provided there is one located near you). The catch to Bitcoin ATM sales is found in the small limits and the high fees. It is unlikely that, as a first time user, you will be able to sell more than a few hundred in Bitcoin through an ATM. If this is all you need, great. If you need more, bypassing Bitcoin ATMs altogether may be your best choice. Plus, many areas do not yet have an ample supply of Bitcoin ATMs, so this may not be an option for you at all, depending on where you live. Since the sell limits are small with almost all Bitcoin ATMs, the fees are not a significant issue, but they are still high when considering the percentage. An exchange may charge 1-3%, but an ATM may cost you 6-8%. This doesn’t seem like much, but it can certainly add up, even if only selling a few hundred dollars worth of Bitcoins. ATMs are a convenient way to quickly sell Bitcoins for cash, but they are not the best option by any means. Have a friend who wants to buy Bitcoin from you? You are in luck, as this is one of the best ways to sell your Bitcoin, provided the proper precautions are taken. Sometimes traditional, old school methods are the best option, and this is a perfect example of that. If you are able to sell your Bitcoins to someone you know, you will likely receive a better bottom line price, the transaction will be faster, and you will not have to jump through any regulatory hoops. When selling Bitcoins in person, you should always make sure that all details are made clear and that the other party can be trusted. It wouldn’t hurt to have an agreement written down, even if it is very basic. Clarify the amount of Bitcoins being sold, the price per unit, and the total dollar amount of the transaction. From here, all that you need to do is exchange wallet information and complete the payment itself. The biggest problem with person to person Bitcoin sales is that you are unlikely to have close friends or acquaintances who would enable you to complete an in person sale. You could consider posting coins for sale online or through forums, but given the anonymous and often times untraceable nature of Bitcoins, you may find yourself in an unwanted situation. The best play is to stick with the options outlined above. It isn’t worth saving a few dollars on a Bitcoin sale through an in person transaction if it may potentially result in you having your Bitcoins stolen from you outright. Bitcoin is as private as you would like it to be. If you own a Trezor or use an exchange that does not require the disclosure of personal information, you will not be known on the blockchain beyond your wallet address. Privacy only becomes an issue with Bitcoin as you begin to use commercial, more regulated exchanges. If you are buying or selling Bitcoin from a popular wallet, particularly in the United States, you will need to provide personal information. The larger your trading volume, the more information you will usually need to provide. This was not always the case, but as cryptocurrencies have grown, so too has the government’s attempts to monitor and track transactions. As time goes on, more and more Bitcoin exchanges have popped up. Several have failed, but others have grown into trustworthy companies. You will be sacrificing varied levels of privacy in using a third party exchange, but they can make your life that much easier. A few of the most popular Bitcoin exchanges include Coinbase and Bitstamp. Kraken is another well known exchange, but their reputation is not quite as strong as the others. Before you use any exchange, make sure that you are moving your money onto the right type of platform. Some websites only allow crypto to crypto exchanges, some are user to user, and some allow cryptocurrency to be purchased using FIAT money. Efficient usage of Bitcoin calls for a healthy dose of research before any buying, sending, receiving, or selling decisions are made. Beyond websites and even brick and mortar stores that will accept Bitcoins, there are also Bitcoin ATMs located in many parts of the world. The catch to these ATMs is that they are accompanied by small withdrawal limits, large fees, and frequent processing issues. While Bitcoin ATMs can be a convenient solution, they are not yet a well refined solution. Bitcoin has seen an astronomical rise in value since inception. Once trading for pennies and eventually a few dollars for several years after its release, Bitcoin has approach the $2,000 mark. This hasn’t come without a large number of dramatic swings in pricing, however. In 2013, Bitcoin managed to reach ~$1,000 USD. The hysteria surrounding the new currency quickly diminished, however, and the price came tumbling down. By 2015 and into 2016, Bitcoin could regularly be obtained in the $200-$400. Many blockchain and exchange issues contributed to this slide and subsequent flat period. As political and economic climates began to become more unstable worldwide, Bitcoin saw a significant price jump. The volatility of Bitcoin is unmatched by almost any other similar currency or commodity. Even gold and silver are considered stable when compared to Bitcoin. It is easy to see the big gains in Bitcoin, but the potential drops should always be taken into consideration as well. As is the case with equities, Bitcoin is prone to unpredictable current events that make for extreme volatility. Bitcoin has had no shortage of dramatic events in its short lifespan. From exchange collapses to blockchain and security issues, Bitcoin has had its vulnerabilities exposed time and time again. Exchange and wallet failures tend to receive the most public recognition, since they impact the common user most directly. Mt. Gox is the most notorious of all Bitcoin disasters. In 2014, the exchange was processing the majority of all BTC transactions. The thefts of hundreds of thousands of Bitcoins between 2010 and 2014 would eventually lead to the closing of Mt. Gox. Many users lost countless BTC as part of their bankruptcy. A number of smaller exchanges have closed since 2009. Many of these were due to mismanagement, corruption, theft, or outside hacking. This uncertain dynamic is why it is important to do your research before sending any company or any individual your Bitcoins.